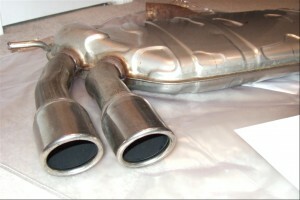 The exhaust system of a vehicle is one of the most important components. It is responsible for routing the harmful fumes from the engine and the passengers, all while working to increase the performance of a vehicle and reduce noise from the engine. If there is a leak in the exhaust it can cause the engine to have to work much harder than necessary, causing a reduction of fuel efficiency and putting passengers at risk of breathing in hazardous fumes. Knowing the signs of an exhaust issue, will also let driver’s know when it is time for exhaust repair in Marysville. One of the biggest signs that an exhaust leak may be necessary is if a vehicle is getting a reduced number of miles per gallon. Another sign may be that the vehicle has begun to run at a higher temperature, which also works to reduce the vehicle’s fuel efficiency. If a drop in MPGs are noticed, then it should be repaired before the problem becomes worse and more expensive to repair. Strange vibrations that are coming from the gas pedal or steering wheel are also the sign of an exhaust leak. The car may feel as though it is completely shaking if there is a large exhaust leak. It is important to remember that these vibrations are actually a safety issue, in addition to an issue regarding the overall car health, since they will make it much harder to control the vehicle. The first sign of an exhaust leak that will likely be noticed is increased noise coming from the engine. The vehicle’s exhaust system is designed to keep noise down, so when there is a leak there will be a rather significant increase in engine noise. The experienced technicians at Conway Motors Inc. can determine and fix any exhaust issue that may be present. For more information regarding exhaust repair in Marysville contact Conway Motors today at (425)905-2424.